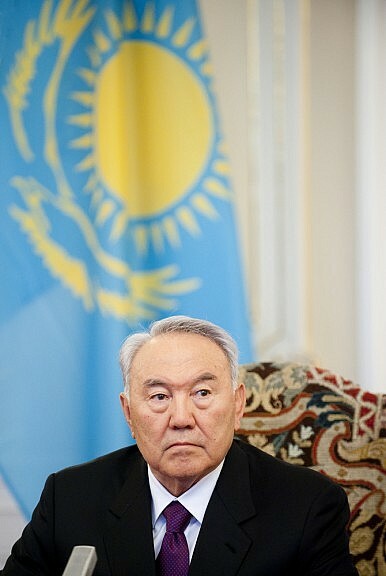 Is There a 'Kazakhstan' Without Nazarbayev? International Crisis Group warns that Kazakhstan may be ripe for external meddling if it doesn’t figure out succession. The report encourages Kazakhstan to act soon–reconfirming its independence from Russia and lifting the veil on government operations in order to reassure citizens and foreign powers “that the state is not the work of one man or an exclusive ethnic project and that the transition to a post-Nazarbayev era will be smooth.” The report recommends that Kazakhstan continue to pursue a multi-vector foreign policy by engaging equally with Russia and the EU; take a “recognizable role” in pursuing a solution to the Ukraine crisis; give senior officials–other than Nazarbayev–some stage time; practice restraint in issues of language, ethnicity, and nationalism; and broaden economic development beyond Astana. This is not the first time parallels have been drawn between Ukraine and Kazakhstan. Kazakhstan, like all of Central Asia, had a sizeable ethnic Russian population when the Soviet Union dissolved. That population has dwindled; in a country of 17 million a 2009 census determined that ethnic Russians accounted for 23 percent, ethnic Kazakhs more than 60 percent. This is a more modern development, as it wasn’t until the mid-1980s that the ethnic Kazakh population bypassed that of ethnic Russians in the region. Now, most ethnic Russians are concentrated along the northern border with Russia. A booming economy has kept Nazarbayev comfortably in power, deferring the need to address regional issues and uneven growth. But dropping oil prices and the rippling effects of Western sanctions on Russia over the Ukraine crisis have slowed Kazakh economic growth, which the report notes is “the glue binding the wealthy to the president,” to a crawl. Without enactment of repeatedly promised political, social and economic reforms, Kazakhstan risks becoming another brittle authoritarian regime that can too easily be manipulated by outside forces. In Kazakhstan’s Battle for Cable TV, Russia Stands its GroundTouring the Backyard: Putin Pays Central Asia a VisitWhat's Next in the Ablyazov Saga? French Court Set to Rule on ExtraditionWhy are Russians Leaving Kazakhstan?What’s Kazakhstan Role in Calming Russia-Turkey Tensions?